Be Comfortable All Year Round! While allowing your HVAC to work its best, we'll also help it work as efficiently as possible. Doing so, we'll allow your San Diego home or business to enjoy the lowest possible heating and cooling bills. This benefit will literally pay off as we help you to enjoy the most affordable home or business in the San Diego area. If you're ready to enjoy all these great benefits, call the HVAC contractors at Pacific Heating & Air Conditioning. We'll work hard so you can fully enjoy all the great benefits that a dependable heating and air conditioning unit can provide. Give us a call if you're ready to enjoy these great benefits today. When Old Man winter starts kicking up, you'll find your heating unit to be a necessity for maintaining not only your comfort but also your safety. After all, when the winters dip down into the extreme colds, you need to be sure your heating unit works effectively. To ensure that your heating unit works its best, make sure you leave its work to our heating contractors. Whether your heating unit needs to be repaired or even replaced entirely, you can count on Pacific Heating & Air Conditioning to handle the work. We'll provide top-quality services that are guaranteed to get your heating unit working its 100% best so that you and your loved ones can stay comfortable and, most of all, safe when the temperatures dip way down. Comfort is important to maintain when the winter months hit, and more than that, it's important to maintain the safety of your loved ones. By having your San Diego home's heating unit serviced by our experienced professionals, you can be sure to enjoy the best comfort and the most assured safety when Old Man Winter starts to blow up a storm. We have the solutions to keep you warm on those cold days and nights, so don't fret over heating problems. Our technicians repair all brands of residential and most commercial heating systems including gas & oil furnaces and heat pumps. We can also replace your heating equipment and keep up with the maintenance. Here in San Diego, we're no strangers to the heat. We understand all too well that when the summer months roll around, we need to be prepared to keep ourselves safe and protected from the extreme temps. To do that, we simply need to maintain dependable air conditioning. For ensuring you get the best and most reliable air conditioning, have your A/C unit worked on by our experienced team. We provide top-rated services of all kind to keep your air conditioning running like a dream. These services range from simple repairs to far more complex repairs all the way to full-blown replacements. So, no matter what condition your air conditioning unit is in, you can depend on our experienced HVAC contractors to get it working like brand new in no time. The intense San Diego summers can be brutal and even dangerous if you're not prepared to keep safe from the heat. If you want to keep yourself and your loved ones as safe as possible, you need to call our experienced team to provide our quality A/C work. We'll ensure that your home is equipped to handle even the hottest summers. No cold air coming through the vents? AC making weird noises? No matter what's going on with your air conditioning equipment, you can count on us for expert troubleshooting and repair. 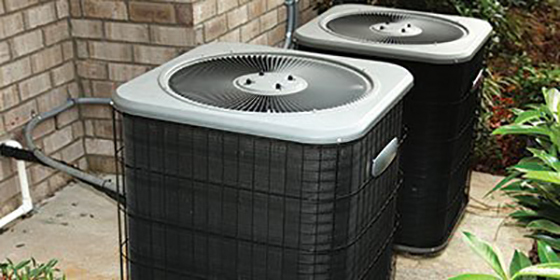 When the time comes to replace your old cooling equipment, we'll make sure you have the right type and size to keep you comfortable. Here at Pacific Heating & Air Conditioning, we value our clients' feedback. After all, your feedback is what helps us to know what we might be able to work on in the future to ensure that you get only the best when it comes to your HVAC work. Luckily, as our client reviews demonstrate, we listen, and the response speaks for itself! When you pay to have your heating and air conditioning unit worked on, you'll want to be sure the results are nothing short of the best. After all, your HVAC setup is one of the most important when it comes to maintaining the comfort and livability of your San Diego home. This means you'll want to be sure it continues to run dependably for many years to come. You can be sure to enjoy the best and longest-lasting heating and A/C setup by having yours worked on by the experienced HVAC company, Pacific Heating & Air Conditioning. Our experienced team has many combined decades of experience, and that experience combined with our dedication to providing the best services and to using the best parts ensures that we'll provide quality results in all our HVAC services. So, whether you're looking to have your heating or air conditioning repaired, tuned up, or replaced altogether, you can depend on our experienced team to get the work done fast and right. Don't settle for anything less than the best when it comes to your HVAC work. Instead, give us a call, and you'll know that you're getting the best you'll find in the San Diego area. Comfort is not something you should expect to maintain in only your home or place of work. It's something you should enjoy no matter what kind of property you're in: residential or commercial. For that purpose, you're in luck. 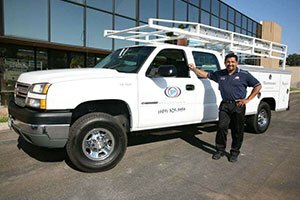 After all, you can always call our San Diego HVAC company since we offer both residential and commercial services. A home demands a different kind of HVAC use and care than a larger-scale business might. Thanks to our experienced team, you can enjoy the best usage for whatever kind of property you own. We have the experience and know-how to provide the best kind of work that your property needs, no matter what kind of property you might have -- residential or commercial. Your San Diego area home or business should be as comfortable and as safe as possible. By having your residential or commercial HVAC worked on by the experienced and knowledgeable pros at Pacific Heating & Air Conditioning, you can count on enjoying the best HVAC for whatever kind of property you own. Call us today for all your residential and commercial HVAC needs. Customers keep coming back to us because they know we have their best interests in mind. And it doesn't hurt that our HVAC technicians have years of experience in the industry and are fully equipped with the leading industry tools to do their jobs well. In addition to our many years of experience and our top-notch resources, we can also offer a wide variety of HVAC services to keep your heating and air conditioning going strong. Whether you're looking to get your HVAC repaired, replaced, or simply tuned up, you can count on us to provide the service you need to keep your home or business comfortable all year long. You can trust us for efficient, reliable, and ethical service. Our number one priority is to ensure your complete satisfaction and that your heating and air conditioning equipment is meeting your comfort needs at all times. So, why should you choose Pacific Heating & Air Conditioning for all your HVAC needs? That we can answer in one word: quality! Pacific Heating and Air is the best company I have ever used, blowing away other companies with there superior service and reliability. Nick and his team were very friendly and had great insight on the job. They were sharp, collective, and efficient with there time as they were in and out very quickly on the install for my home. His prices were fair and honest and not as expensive as compared to other companies I recieved quotes from. Nick and his team are accountable and trustworthy when it comes to installing a system or any other heating and air needs and I will most definitely call them back for any future needs. I highly recommend him as a first priority choice that you can depend on. Nick is the best, we had a problem with our central air at our restaurant and Pacific Heating and Air fixed the problem that day. Another well known heating and air company in San Diego wanted to install a new system where Nick was able to fix our system and a fraction of the cost. Honest and dependable.